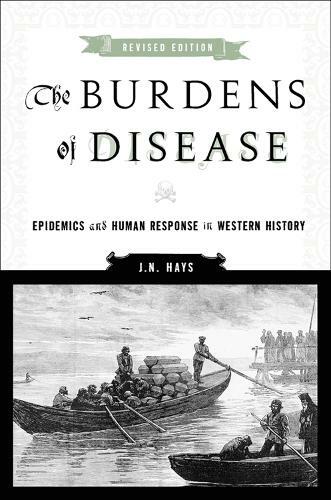 A review of the original edition of ""The Burdens of Disease"" that appeared in ISIS stated, 'Hays has written a remarkable book. He too has a message: That epidemics are primarily dependent on poverty and that the West has consistently refused to accept this'. This revised edition confirms the book's timely value and provides a sweeping approach to the history of disease. In this updated volume, with revisions and additions to the original content, including the evolution of drug-resistant diseases and expanded coverage of HIV/AIDS, along with recent data on mortality figures and other relevant statistics, J. N. Hays chronicles perceptions and responses to plague and pestilence over two thousand years of western history. Disease is framed as a multidimensional construct, situated at the intersection of history, politics, culture, and medicine, and rooted in mentalities and social relations as much as in biological conditions of pathology. This revised edition of ""The Burdens of Disease"" also studies the victims of epidemics, paying close attention to the relationships among poverty, power, and disease.